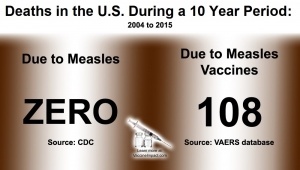 As of November 30, 2018, there have been more than 93,179 reports of measles vaccine reactions, hospitalizations, injuries and deaths following measles vaccinations made to the federal Vaccine Adverse Events Reporting System (VAERS), including 459 related deaths, 6,936 hospitalizations, and 1,748 related disabilities. Over 50% of those adverse events occurred in children three years old and under. As of January 2, 2019, there have been 1,258 claims filed so far in the federal Vaccine Injury Compensation Program (VICP) for 82 deaths and 1,176 injuries that occurred after measles vaccination. In 1998, public health officials and attorneys associated with the federal Vaccine Injury Compensation Program published a review in Pediatrics in regards to the medical records of 48 children ages 10 to 49 months, who received a measles vaccine or combination MMR vaccine between 1970 and 1993 and developed encephalopathy after vaccination. The children either died or were left with permanent brain dysfunction, including mental regression and retardation, chronic seizures, motor and sensory deficits and movement disorders. 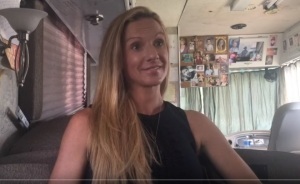 The VAXXED team recently interviewed Dr. Stephanie Christner of Tulsa, Oklahoma, who is a primary care physician and psychiatrist who was pro-vaccine until her baby daughter died of vaccine injuries just shy of her 6 month old birth date. When she was pregnant with her daughter, she had two friends who questioned vaccines, and listened to them non-judgmentally. But when she went to the CDC website to research vaccines, and then talked to her pediatrician, her pediatrician basically told her she could not stay in his practice if she did not get her baby daughter vaccinated. She states that in her own medical training virtually nothing is taught about the science behind the manufacturing of vaccines, and that during her residency she was just expected to vaccinate everyone, and that if there were any complications after administering the vaccines, no one would ever associate the problem with the vaccine. Both of her sons, born prior to her daughter, were vaccinated, and experienced developmental delays and allergies. Her baby daughter was not vaccinated in the hospital when she was born, and was perfectly healthy the first couple of months. When she received her two month old vaccinations, things began to change. But she was still in denial at that time, not linking her daughter's health problems to the vaccines. As her baby's health continued to decline, she continued with the vaccine schedule. She died before she reached 6 months old. Up until this time, she still did not suspect any relationship to vaccines. She states: "I feel like every mother in the world, that you can't possibly imagine - I was so naive - I thought that there was really no way that we would ever give something to our most precious, precious, thing in the world, our children... that would be harmful and that wasn't (fully) studied." She sees things differently now, and realizes that many people have their eyes closed. She believes that most pediatricians would change their views on vaccines if they would bother to do the research that she has done. Erin Holmes got $250,000 she didn’t want, “blood money” her husband didn’t want to spend. 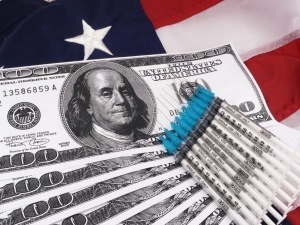 The money came from the Vaccine Injury Compensation Program for her son, Jacob, who died in 2002 from a brain condition after receiving his measles-mumps-rubella and varicella vaccines. 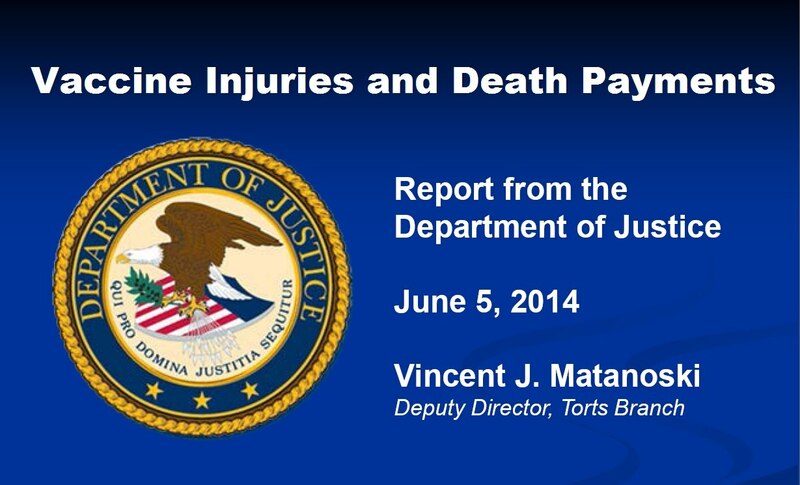 The Vaccine Injury Compensation Program is funded by taxpayers via a tax on vaccines. Holmes didn’t want the money – but as an “angry parent” she wanted to do something more. So she reached out to a lawyer in Las Vegas who told her that the money she collected from the compensation program was “Jacob’s money” – and she could still sue for her own suffering. She filed a wrongful death lawsuit against Merck and Co. – a manufacturer of MMR, varicella and other vaccines – alleging “negligence, strict product liability, negligent design, failure to warn, misrepresentation, express warranty, implied warranty of merchantability, implied warranty of fitness for a particular purpose, and punitive damages,” according to court documents. But the 9th U.S. 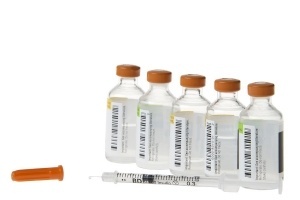 Circuit Court of Appeals ruled that Holmes could not sue for negligent design or failure to warn, because the National Childhood Vaccine Injury Act pre-empted Holmes’ strict product liability, negligent design and failure to warn claims. “If we were to conclude that the parents of those suffering a vaccine-related injury could bring design defect and failure to warn claims … we would be acting contrary to the statute’s central purpose of managing vaccine manufacturers’ liability because our construction would do little to protect the vaccine manufacturers from suit,” the court said in its opinion.